This is probably one of the best deals on the market in terms of value for the dollar. 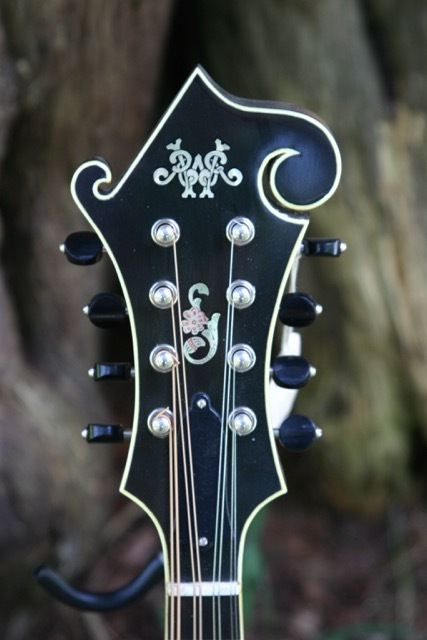 Its features include red spruce top, hard maple back, sides and neck; ebony pegged overlay with Randy Wood logo and custom flower vase inlay in mother-of-pearl and abalone, vintage-style tuners with black buttons, non-radius ebony fingerboard with side position markers on ivoroid binding, standard tailpiece with "R. Wood" engraving. And, of course, Randy Wood, master luthier, personally tap tuned this magnificent Loar-like sound! Price: $7500.